I don't delete comments like this from my blog so that everyone can see exactly what trans people are up against. Good for you, Trevor. It takes a lot of strength to continue speaking loudly when others are responding with ignorance. 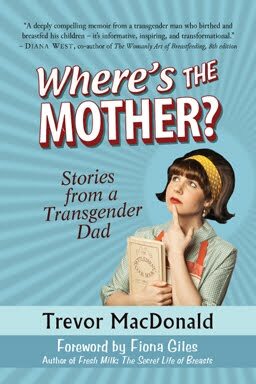 You are doing such important work to normalize trans parenting and provide information and support about breast/chestfeeding for families who don't have many accessible resources... Keep it up! I'm a huge fan and intend to buy your book very soon! Creating a personal statement can be an incredibly important task. In many cases it can hurt you much more than it can help you. There have been a lot of debate surrounding the importance of personal statements, because they often are a much larger potential detriment than a potential advantage. Really good and new statement i like his all edition thanks for share it personal statement sample . Hi can i watch Canadian Midwives on www.narutoget.com ? because i am looking for website that is best to watch Canadian Midwives.